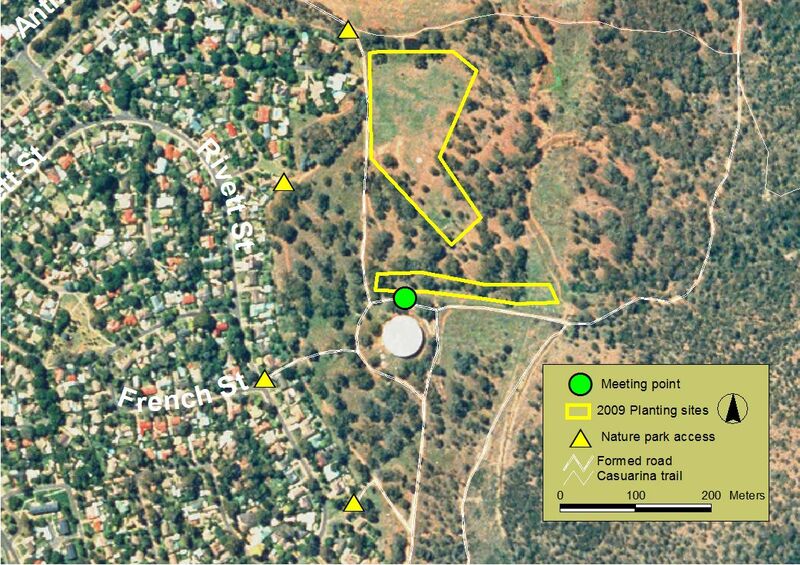 In this working bee the Friends of Mount Majura will tackle a horehound infested area between two major re-vegetation sites, the National Tree Day 2009 planting area and the drainage line planted with local shrubs to assist the establishment of a wildlife corridor. They hope to achieve some weed free passages between the plantings sites to reduce the spread of seeds by pedestrian traffic. The long term goal is to remove horehound from the whole area which will benefit native revegetation. Bring: a weeding tool such as trowel or small mattock.